Come show your support for the future of Melbourne’s iconic hospitality industry by giving trainee chefs and wait staff the experience they need to forge careers locally and beyond. 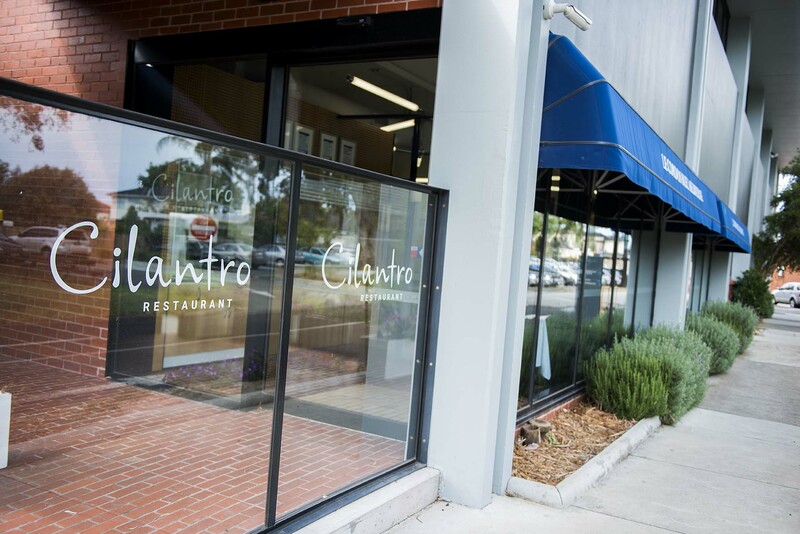 Cilantro is the student training restaurant at Le Cordon Bleu’s Moorabbin campus (an Holmesglen TAFE) and we have number of functions, buffets and special events throughout the year. Cilantro also has a fully licensed bar with an impressive selection of affordable wines and other beverages. The vast majority of the Restaurant Services are A’la Cart services, where you can order from our delicious and regularly changing menus. This allows our students to practice and perfect their food and beverage service skills, as well as give our guests a good selection of menu items to choose from. Taking orders, answering your questions, up-selling and the interaction with actual customers is what makes the experience so real and rewarding. We welcome you and your friends to serve throughout the year, from entrée through to dessert, so our students can improve and achieve their goals of becoming the hospitality professionals of the future. Menus are created and presented by Le Cordon Bleu Diplôme de Cuisine students, in their Superior stage (final stage) of their programs. Featured menu items pay homage to traditional French cuisine. The Le Cordon Bleu Certificate IV students are preparing a mouth-watering buffet as part of their cuisine course. Come along and enjoy the delicious selection of items both hot and cold; savoury and sweet. The Patisserie Chocolate Dinner is a chance for our extremely talented patisserie students to try something a bit different. They will be putting their skills to the test creating a six-course dinner with matched wines and beverages. There will be some savoury entrées, a main course, with their speciality being delectable sweet sensations to follow. You will be amazed at how different and delicious each course can be. The Le Cordon Bleu Certificate IV students are also creating a 6-course Degustation Dinner with matched fine wines as part of their assessment. With all courses showcasing a French flair, this is a night not to be missed. Melbourne meets Paris for a traditional afternoon tea delight. You will feast on a variety of sandwiches, scones, crêpe suzette, French pâtisseries, mousses & chocolates, accompanied by tea & filter coffee. Book soon as these sessions are extremely limited. Call our Restaurants & Events Coordinator to discuss organising your next function or event at Cilantro.